Biocatalysts is committed to our customers having complete confidence in the production and delivery of our products through the continual investment in quality and food safety systems, endorsed by globally recognised ISO9001 and FSSC22000 standards, with the latest investment being a new electronic quality management system. At Biocatalysts we establish a framework and culture of operational excellence in all our systems, enhancing the experience of both internal and external customers. The recent purchase and implementation of an electronic quality management system, Q-Pulse, ensures accurate documented information is communicated and maintained across the organisation. Quality processes are now defined and configured in Q-Pulse where direct reporting and management of actions can be coordinated and monitored efficiently. Biocatalysts achieves and maintains a quality standard vital to our success in exceeding customers’ expectations. The assurance and safety of our products is built into processes, from managing the supply chain and developing new products, to the provision of commercial products through established processes approved by Food Safety, HACCP and positive release systems. Biocatalysts’ facilities adhere to Good Manufacturing Practices (GMP) ensuring effective design and control of our manufacturing processes, further safeguarding the product, customer and the consumer. We also hold OHSAS18001 and ISO14001, demonstrating our commitment to providing a safe working environment and ensuring we minimise environmental impact. The addition of Q-Pulse will allow for all of these aspects to be monitored and controlled more effectively, ultimately enhancing operational productivity and efficiency. Biocatalysts has also recently invested in a new material control system. Material, from incoming goods to the release of products, is now controlled by a newly installed bar coding system, ensuring the integrity of material movements and operational efficiency. 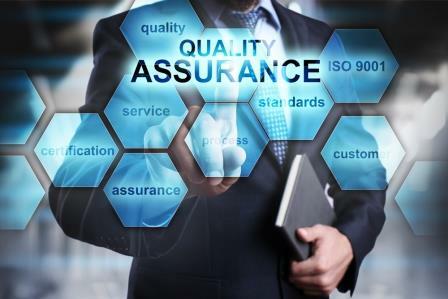 This continuous investment in quality assurance gives our customers peace of mind that the products and services we supply are world class, enabling us to exceed our customers’ enzyme expectations.